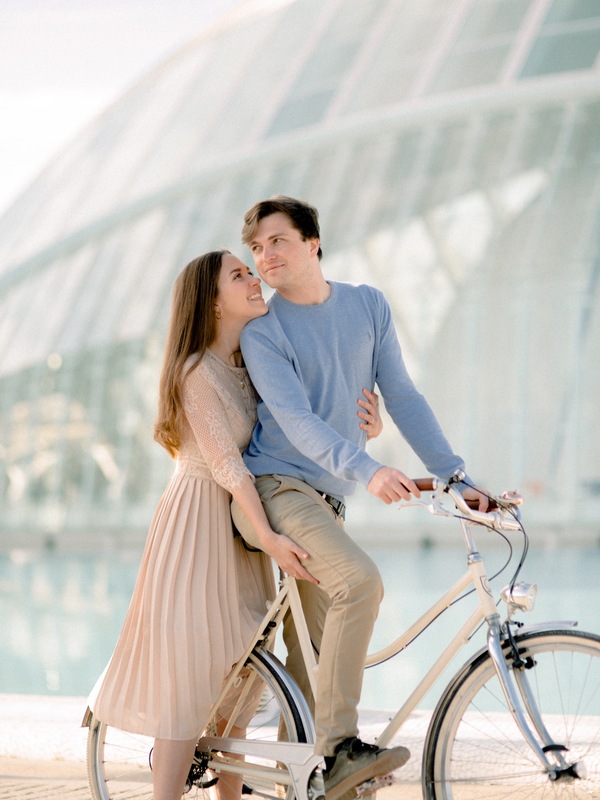 Merel & Mathijs visited Valencia in the beginning of 2019. We met them early in the morning at the most popular places in Valencia, The City of Art and Sciences. We started our photoshoot with this lovebirds at 8.00am in the morning. The light was incredible beautiful and the place was empty and calm. It was just the right time for the love shoot with this sweet young couple from Belgium. We love to work with the best natural light, therefore we start our photoshoots always in the morning or in the evening before sunset. This soft light gives for us and our couples the most beautiful results. Capturing those two with this morning light and their love for each other was incredible beautiful and we completely forgot the time behind our lenses. We just love what we do and we like to give our couples therefore all the time they deserve. Our work is our passion and together with the loving couple we create memories for a lifetime! Thank you so much Merel & Mathijs for this great morning session in Valencia! It it was lovely to capture you and your love! Do you have plans to visit Valencia? We would be happy to meet you and to capture your love in this beautiful city!